Linux Mint 18.3 “Sylvia” is the latest iteration of the hugely popular distribution, featuring a few different desktop environments. I've really grown to enjoy the Cinnamon environment, regardless of what distro I'm using at the time, but obviously when using it within Linux Mint, you're getting the intended experience since Cinnamon was made for Mint. That said, Cinnamon is the most popularly used environment, so this quick tutorial is based around that, but its pretty easily translatable to the other environments as well! Tip: Run sudo apt-get update on the command line to update the repository before you open the Software Manager on your Linux Mint device. 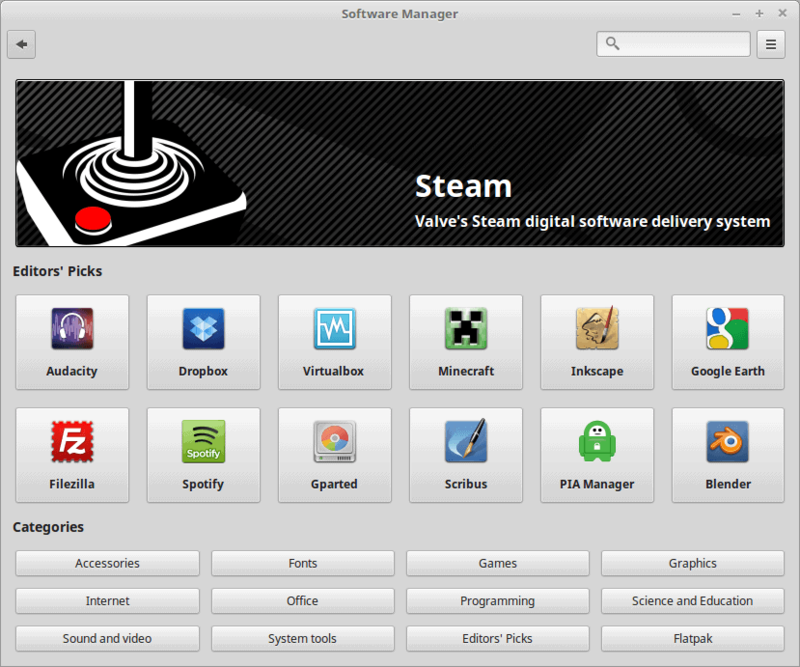 This Software manager is the graphical tool for installing third party software such as Spotify, PlayOnLinux, Steam, or Chromium. It's also used for searching for individual packages, such as dependencies for other applications; however, some people prefer using Synaptic Package Manager for that, leaving the Software Manager for menial searches like basic software. Note that you require an Internet connection to use the Software Manager. The beautiful part about using a GNU/Linux system, is that the vast majority of software you'll ever use, is available just a few clicks away, rather than having to download from websites, install, delete the installer file, etc. Tip: You can head over to the Linux Mint Community website to search and browse software. If you prefer to use the Terminal, run the command sudo apt-get install packageName to install the specified package directly. To install .deb packages, run sudo dpkg -i filename.deb. To install .rpm packages, run sudo rpm -i filename.rpm. Now you: As a new Linux Mint user, how do you find you like the Software Manager, and installing software through it? Mike walks you through the steps of installing third-party software on devices running a recent version of the Linux Mint Cinnamon distribution. The keyword “get” is now superfluous when installing packages, although one can still use it. apt install package is all that is required to install software now. “get” is not a “keyword”. apt and apt-get are separate programs (check it: each has its own manpage) and behave differently. Yes, the “install” commandline option is available for each; however, the commands each have some mutually exclusive options and, for some of the overlapping options, each requires different syntax. Just switched to Mint Cinnamon and I’m loving the manager and just about everything else so far. I love how user friendly it is not just for my sake, but because it’s a big part of bringing more people to Linux. Software Manager is OK , but I prefer .deb packages because G-debi installer works fine for me. Across the linux community, beyond the context of LinuxMint, surely Cinnamon is not “the most popularly used environment”. Everybody knows that Cinnamon is not the most popular DE, except ghacks… Plasma and Gnome are the most popular environments. I think ghacks should stick posting Windows articles. They have no idea about linux world. Fair enough; the most widely used are probably Gnome 3 and KDE Plasma. But Cinnamon is the flagship DE for Linux Mint, which is commonly listed toward the top of many distro popularity rankings (which admittedly may be wildly inaccurate); it’s starting to be offered by other distros; and (based on my own experience) it’s arguably the easiest DE for Windows refugees to get used to. No, Cinnamon is not the easiest DE for Windows refugees. Cinnamon uses the old Windows layout of Windows XP and Vista. Windows has moved on from it 9 years ago with Windows 7 and provides now a very different layout with icon grouping by default. The easiest distro for Windows refugees is Zorin OS which has a modified GNOME enviroment that mimics Windows 7 and Windows 10 better than Cinnamon. Also Elementary OS is the easiest DE for Mac refugees. KDE, XFCE, Mate also have similar layout like Windows so all of them are also very familiar environments for Windows refugees. I find myself wishing that I’d kept a journal of what I thought of every Linux distro I’ve tried, because I no longer remember why I nixed Zorin. It’s possible that it was just one of many distros that I simply couldn’t get to work well in VirtualBox. At any rate, coming from Windows I found Cinnamon to be a good mix of familiarity, features and power, and absence of bugs and glitches. (Maybe it just felt familiar because I have used Windows since at least Windows 3.1 and spent a long time on XP. I can’t say.) 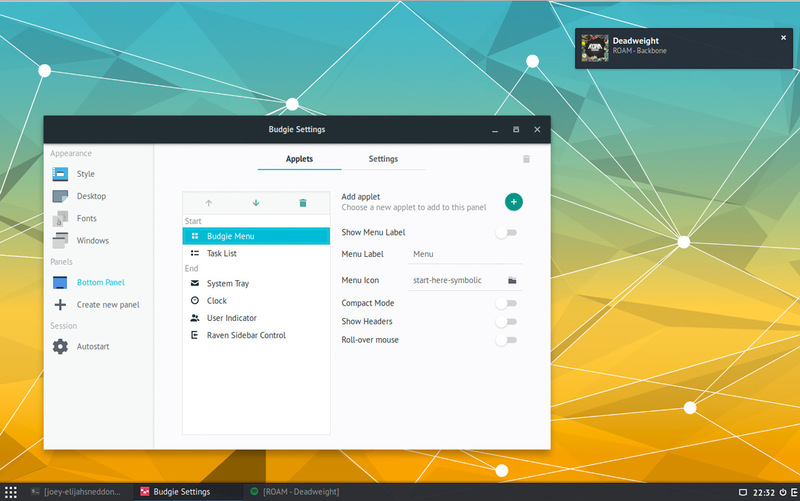 KDE Plasma was equally familiar and a lot more customizable, with more bells and whistles, but somewhat confusing for newcomers to configure. I don’t think I ever ran into the problem firsthand, but I’ve read that Plasma is a little glitchy in places, too. I was able to more or less figure out and live with Gnome 3, but I didn’t really cotton to it. I didn’t like Pantheon (Elementary) or Deepin *at all* (being a Windows guy), and I found the few “lightweight” DEs I tried too limited — as a Linux newbie, I didn’t like being forced to use the terminal or work hard to find a GUI way of doing things I routinely did in Windows. Actually, now that I think of it, in Linux Mint Cinnamon I even tried the CinnVIIStarkMenu applet, which gives you a pretty close approximation of a Windows 7 Start Menu, and then went back to the standard Cinnamon Menu because it was easily familiar enough and I liked it better. Nonetheless, you could be right: Zorin might be easier for recent Windows users. My opinion is subjective and limited by the fact that I couldn’t get every distro I tried to work well in VirtualBox. Try Deepin again. It has changed a lot recently. They offer now a windows style start menu and an icon style taskbar. Also their Deepin store is now a masterpiece, perfect for ex-Windows users. Zorin OS is like Mint an Ubuntu based distro. Zorin 12 is Ubuntu GNOME 16.04 LTS with GNOME modified to look like Windows. I never had any issue with it, try it again it’s basically the same with Mint because they both are Ubuntu based. I agree that KDE has many options that may confuse Windows refugees but it also has a Kiosk mode that can make it unbreakable for Windows refugees. Even Ubuntu original can now look like Windows after their switch to GNOME. The only thing you need to install is Dash to Panel and Arc Menu extensions from Ubuntu Software Center and you have a Windows layout replica. Try Ubuntu 18.04 LTS when it comes out. Believe it or not, my biggest problem with Deepin wasn’t the (apparently old) interface (although that was indeed a big one); it was that its software/update repository was the slowest of any distro I’d ever tried, by an order of magnitude. It was *unbelievably* slow. Hopefully, it now has some high-speed mirrors serving the US. Also, the Windows Store comparison doesn’t mean much to me, since I stopped upgrading at Windows 7. As for choosing Zorin or Ubuntu itself over Linux Mint in a bare-metal install, is there a compelling reason to? (I’m asking sincerely, not sarcastically.) I’m happy enough with Linux Mint Cinnamon that, at this point, the most appealing alternative would be a *rolling* distro that has a long history of being relatively bug-free and not getting borked by system updates. I’m at an age now where installing an upgraded OS from scratch and getting it configured the way I like every few years is no longer fun, just tedious. Is there any compelling reason to promote only Linux Mint and not other distros too as a Windows alternative? I don’t see anything special to Linux Mint to be considered the only appealing distro for Windows refugees. So why promoting only Linux Mint? I care about the whole linux community and I find it unfair to have only 1 distro promoted and all other options ignored. I like Linux Mint too, but it’s not the only option for Windows refugees. I will promote Budgie now haha. I am kidding, don’t get me wrong, I visit this site because I think it’s an excellent high quality site. Perfect Windows layout with a single link, it’s just a click nothing tedious. It also works on rolling distros (Solus) and LTS distros (Ubuntu). Switched to Mint Cinnamon, too, recently. Loving it so far, everything just works. Gosh, I don’t know that there’s much I can say about Linux Mint Cinnamon’s Software Manager (or its Update Manager, for that matter). I’ve used it a number of times to get fonts and additional programs and had no issues with it. It was clear, intuitive, and easy to use (even before they recently “improved” it), and it seemed to include necessary dependencies without special work on my part. In at least *some* other distros/desktop environments I tried, I found myself spending a fair amount of time just trying to figure out how the GUI software installer and updater tools *worked*. I’ve done a few apt installs in the terminal and those went fine, too, although I regret not understanding the implications of the ~”manual install” message I got for at least one of them. I haven’t installed any PPAs or personally compiled programs yet, nor have I installed any Flatpak or Snap packages. In the past, I’ve installed a couple/few programs in Wine or PlayOnLinux, at least one successfully (IrfanView) and one unsuccessfully (Guitar Pro 7). This is probably a dumb question, but I’m curious whether it’s sometimes possible to update a Wine program using the program’s internal updating feature or whether it’s generally recommended to do a fresh install of the updated program in Wine from scratch. My present setup makes for a very simple updating routine, compared to Windows (although I’m mildly worried about the implications of that “manual install” message I got in the terminal). It’s a one-stop-shopping experience for the OS and all programs, via Update Manager, except for Pale Moon, which I have to update using pminstaller. If I still had any Windows programs running in Wine/PlayOnLinux, I guess that would complicate things. Why are all Linux distros so damn ugly ? Years ago, Tom and Ray Magliozzi, the “Car Talk” guys on National Public Radio, identified the worst possible answer when your wife asks you, “Do I look fat?” and I’m going to use that answer for *your* question: Compared to what? @Stefan You never tried KDE, Deepin and Budgie. For minimalist oldschool linux mint – nothing beats XFCE. After all the DE is just an interface to let get your work done. The less it comes in the way – the more productive you are. XFCE is not for everyone, but if you want the best mix of powerful, usable, lightweight – this is where you go. Written on vivaldi in LM XFCE. frequently? Well, I can’t resist asking: compared to what? Problem solved? The only really “indispensable” program I have that’s not available for Linux and that I can’t find an acceptable alternative for is Garmin Express, which I use to update my Garmin GPS (satnav). For that reason, I keep “reserve” copies of Garmin Express installed on my dad’s Windows computers (which I maintain/administer). And just yesterday, Garmin Express wouldn’t update on his Windows 10 laptop. And then it wouldn’t uninstall normally in preparation for a fresh reinstall. And then it wouldn’t reinstall after I uninstalled and cleaned up after it using Revo Uninstaller. So, far from “problem solved,” Windows 10 just torpedoed what would have been my strongest argument for upgrading my own laptop from Windows 7 to Windows 10 instead of switching it to Linux. I’ve managed to fix or work around most weird glitches on my dad’s Windows 10 laptop, but it *still* won’t start or restart while docked if his HP printer/scanner software is installed. Anyway, privacy and predictability issues aside, Windows 10 is a perfectly serviceable OS and there are probably issues and glitches that can be found in every Linux distro, but portraying Windows 10 as the solution to all problems is … well, whatever the opposite of FUD is. Ubuntu wants to collect more diagnostic data. Your Data Me. Today it dont matter everything is being tracked, even linux mint. If 3 attempts su your files to gain control over root or if we use tools for breaking the xface, linux security is automatically notified. You will never ever no that, or control that. However you will be notified of the data that was submitted. this is a bit off topic. I love the interface of ubuntu. so easy to find my way around compared to windows. However I dont like the new steps of canonical regarding reduced privacy. I recently tried manjaro but it’s not userfriendly to me as an average user. I know the bacic commands of the terminal at ubuntu. I’d like to give linux mint a try as well but I read somewhere that the safety is bad. anybody know about that? (1) A couple of years ago Linux Mint’s site was hacked, and for a day or so visitors were redirected to bogus ISOs. Mint promptly took the site down and strengthened its security. It was the first and only time, to my knowledge, and there have been no reports of hacks since then. (2) Mint is a relatively conservative distro, favoring tweak-free stability over up-to-dateness (is that even a word?). Its Update Manager allows users to choose an update policy on a scale of 1 to 5, 1 being hyper-conservative (super-stable with no user intervention, selecting only updates that are virtually *certain* not to cause system problems) and 5 being as up-to-date as possible (selecting all updates in the repository, including some that *may* cause issues that require intervention from a Linux-savvy user). I believe the default is 3. The thing is, level 3 does not include kernel updates, and while updated kernels sometimes require users to tweak their system settings (or even roll back to an earlier kernel, if they can’t get the new one to work), they often include security fixes. In fact, I’m pretty sure that the latest kernels offered in Linux Mint’s repository are not even the latest official final kernel releases. I think this might be the main reason people criticize Mint for being weak on security. By default, it offers a system that will be very stable for ordinary, non-technical users at the expense of not having all of the latest security measures. If new users install it and it works fine at the beginning, and they use the default update settings, it’s *very* unlikely that they will have to deal with a problematic update throughout the life of the release. (3) I’ve read that users are no longer required to supply a root password during installation (since Linux Mint 18.2). I don’t know this personally, because I’ve done “in-place” minor-release upgrades since *before* 18.2 and the last time I did a fresh install from scratch I was required to provide one. I also don’t know whether not providing a root password allows you to run root-level commands without a password, because I’ve always had one. I certainly hope not, because that *would* be insecure. (4) The firewall isn’t turned on by default. I’m not sure, but I think this is the case for a *lot* of Linux distros. I don’t know what the thinking is here. Maybe it’s that Linux is less of a target for exploits than Windows and is inherently less vulnerable to them, and that a lot of users will be behind a router with an NAT/SPI firewall anyway. * I run Linux Mint Cinnamon in a virtual machine. While I left the Update Manager setting at 3, I have been manually selecting updates in levels 4 and 5 for a while now and haven’t run into any problems. I feel very comfortable doing that because if something borks my virtual machine and I can’t figure out how to fix it, I can just load an earlier snapshot of the virtual machine or restore a backup I’ve made of its files in Windows. However, I read a post from a guy who runs a bare-metal install and who always installs the latest kernel in the repository, and he said *he* has never run into a problem, either. That’s probably pretty hardware-dependent, since the kernel includes drivers, but it’s still *somewhat* reassuring. My laptop has integrated graphics and I almost always connect to the net via Ethernet, not WiFi, so that would probably eliminate a lot of potential kernel-upgrade issues in a bare-metal install. * Linux Mint’s conservative/stable approach can be annoying. While Firefox is kept very up to date (typically, the latest stable release appears in the repository with a couple/few days), the repository’s LibreOffice is a stable version 5.1.x, whereas in Windows I’m using LibreOffice Fresh 6.0.1.1. Officially, “Fresh” versions of LibreOffice may (and do) have new minor bugs and regressions, but so far I’ve found the old-bug *fixes* and new features in LibreOffice Fresh make it worth using. As a result, I’m about to *manually* install LibreOffice Fresh in my Linux Mint virtual machine. (I just found an article explaining how to do that in a way that will keep it up to date through Update Manager.) Anyway, I probably wouldn’t have to do an initial manual install in a less conservative distro. I no longer remember for sure, but I *think* LibreOffice Fresh was the default offering in the standard repositories of Chapeau and several other distros I tried. * By “manual” install, I meant via the Terminal (command line). thank you so much for taking you time. wow, lots of information. appreciate. as for the firewall issue: when you install ubuntu, you have to enable the firewall too. much to my surprise the situation was even worse at manjaro: it keeps switching back to disabled at every restart. you have to do a command via the terminal to keep it active. I found a thread in the manjaro forum about this.